For the past few days, the Bollywood industry has been under scrutiny after actress Tanushree Dutta opened up about Nana Patekar's inappropriate behaviour on the sets of Horn OK Pleassss. She recalled the traumatic incident and said that he would touch her and try to get 'physically close'. She even alleged that Nana Patekar orchestrated an attack on her car when she left the set with her parents and a political party came and ambushed them. After facing all this harassment, Tanushree spoke to media persons and tried to make her story heard. She even lodged a complaint with the police; however, everyone turned a deaf ear. Bollywood celebrities supported her, but only from the sidelines - no one stood up in front of the camera and said the words openly. 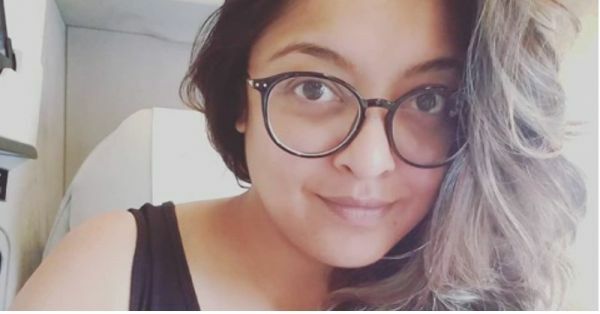 Now in 2018, 10 years after the incident, Tanushree Dutta shared her story again. This time, people were listening. Industry biggies like Sonam Kapoor, Anurag Kashyap, and Priyanka Chopra openly supported Tanushree. Eye-witnesses, Janice Sequera who was a budding journalist at the time, and Shyni Shetty, who was the assistant director of the movie, also corroborated her story. Nana Patekar's lawyer, Rajendra Shirodhkar said that a legal notice has been sent to Tanushree saying that she is making false allegations against a veteran actor. He said, "“A legal notice has already been sent to her and she will receive it today. The notice that I have sent is a standard one — denying allegations and asking for an apology. I have absolutely no idea why she (Tanushree) is talking about it now but she may be have some reasons to do it. Nana will come to town (Mumbai) today or tomorrow and address a press conference. Let him come back and talk, that is the best way to know. Tomorrow he should be definitely here." She, on Saturday had said that she's putting a legal team together to defend her. In her interview, Tanushree had called out stars like Akshay Kumar and Rajnikanth for working with the accused. Twinkle Khanna too tweeted her support for Tanushree, saying, "A working environment without harassment and intimidation is a fundamental right and by speaking up this brave woman helps pave the way towards that very goal for all of us!" However, there are still many who continue to shame her for sharing her story. They believe this to be a publicity stunt and they are questioning why she is talking about after all these years. But this isn't true: she did speak up then but no one was listening. The #MeToo Movement may have made people in the industry more aware of sexual harassment, but Bollywood has a history of ignoring subjects like these. If people need proof of what really happened back then, there is one. The video of her car being vandalised has resurfaced and its gut-wrenching. In the now viral video, Tanushree can be seen in the car, which has been stopped by a mob. Her windshield and side windows were broken violently. A man even jumped on the roof of her car. Dimple Kapadia too spoke up about Nana Patekar's "dark side" eight years ago, saying that she too has seen it first-hand. This has apparently been an open secret in the Bollywood industry, but no one spoke about it publicly. Nana Patekar's "dark side" has always been an open secret in Bollywood. Daisy Shah who was on the sets of the same movie also supported Tanushree in an interview. She was working as an assistant choreographer at the time and said, "My job was to give Tanushree the steps, make her learn them and then help her execute. Now what Tanushree has said that I and she had a great rapport. 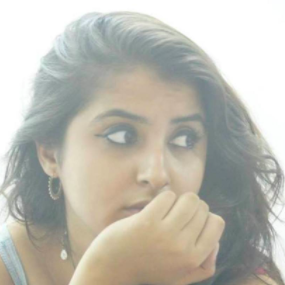 Yes, because we rehearsed for 3-4 days before shooting song and on the sets also for first 2 days everything went very swiftly and on the third day something happened which I am not aware of but Tanushree, being a woman, she has come out and she has said that this is what she has gone through. So I totally sympathise with her." However, she also said that she doesn't know who is right, because the director, producer and actor are telling different stories. But as a woman, she is lending all her support to Tanushree. Now, even Varun Dhawan went on record and said, "Hume apni industry safe karna hai (I'll just say that respect is very important at any workplace. It is important to respect a woman, a man and children. We have to make our industry safe.) We have to make it safe for women, men and children. Har insaan ko respect dena chahiye and I don't know too much about that issue toh main khulke nahi kehna chahunga uske baare mein. Cover toh ho raha hai har jagah. (I don't know much about the issue, so I won't speak much about it. It is being covered everywhere). I'll just speak about the respect factor. Agar koi insaan iske baare mein bol raha hai khulke, I think we should hear that person out. (If a person is openly talking about it, I think we should hear that person out). It takes great courage to talk like that and I applaud that courage." Arjun Kapoor was also asked the same question in an interview and he said, "If what Tanushree is saying is true, then we as a industry would want that nobody experiences this again. We have to create an environment of equality. It's important that women should feel safe in a working environment. It's sad that this issue has come to light after ten years. As someone from the industry, I would want that no girl should feel this as we want the industry to be the safest place in the world. It's disappointing that such a thing has happened with Tanushree. If the allegations are true, we need to introspect." Arjun, while we laud your intentions of making the industry a safe space for women, we also want to remind you that she did speak then too; people just tried to push it under the rugs. Hum Saath Saath Hai actress, Renuka Shahne known for speaking up for social issues also used her platform to lend support to Dutta. If you see the pattern with all the statements, you'll notice that no one is talking about Nana. Not one actor or filmmaker has gone on record to say they won't work with the actor. In Hollywood, many actors and producers have been banned after reports of them abusing women came out. It may take more time for our industry to act up on it. Another problem that women who speak up face is that they are not trusted. A man's actions are justified, her allegations are thought to be a misunderstanding or a cry for attention. A woman is, more often than not, shamed for speaking up, so the argument of 'She is doing it for publicity' is baseless. Right now, it's important to listen to her story, to acknowledge that she was harassed and to support her. Also, it is important for the industry to discourage men who think they are indomitable. Sending love and support to Tanushree. Your courage is an inspiration to all the women who have faced such things.